Speedster, has setup and implemented a new network for Findlay Property. The network included secure remote access and stable server solution for Findlay Property’s business needs. We must admit they did a teriffic job and we would recommend them to other businesses. Simon McDonnell, a Dublin director of Findlay Property (127.0.0.1/oldfind), which specialises in finding and managing investment properties for Irish clients in London, says: “Irish tax residents will not be affected, because they are exempt from capital gains tax in the UK. This could give Irish buy-to-let investors the edge over their UK counterparts. “These dual factors will bring more property to the market and with it a little nervousness,” says McDonnell, adding that uncertainty could be played to Irish buyers’ advantage. McDonnell says that London has been traditionally strong with Irish investors and landlords because of its rental record. “The continued net migration of people into London, the challenges in the planning system and the lack of green- or brown-field sites to develop limit the supply of property and will continue to exert upward pressure on rents in central London,” he says. An historian, archaeologist and actor may be an odd combination for the directors of a property management firm, but for Findlay Property, it is working well. 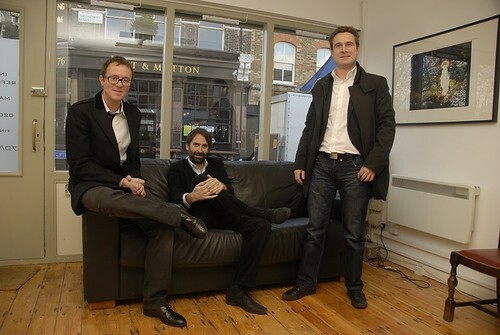 Earlier this year, Irish directors Simon McDonnell, John Walsh and Jean-Paul Van Cauwelaert led a management buyout of the London-based company, which manages residential property in central London for non-resident landlords. What do you get when you mix an Archaeologist, an Actor and an Historian? Ireland’s Business & Finance magazine has run a story on Findlay Property in their One’s to Watch column. Business & Finance is Ireland’s leading business magazine. THE IRISH directors of a London property management company have completed a management buyout of the business, Findlay Property. The company, founded in 2003, is now wholly Irish owned and managed. Directors Simon McDonnell, John Walsh and Jean-Paul Van Cauwelaert own 100 per cent of the company after buying the remaining shares for an undisclosed figure. Findlay specialises in managing residential property in central London for non-resident landlords. Its services include finding buy-to-let properties, lettings, property management and refurbishing properties. It now manages over 120 properties.“The company aims to expand the property management side of the business, providing services to its large Irish client-base,” director Simon McDonnell said this week. The company is also looking to acquire new clients from South East Asia, who have been investing heavily in the residential sector in central London. He said that the company’s growth in the recession had been wholly driven by referrals from Irish clients. The company has recently had cautious enquiries from people interested in re-entering and re-investing in the London market this year. Findlay’s clients range from investors with just one property to people with a number of units. Most of its properties are in east central London, where there is strong capital growth, good infrastructure and new transport links. According to the latest survey of the lettings market in the UK from the Royal Institution of Chartered Surveyors, rents are expected to rise for the first time since July last year. The drop-off in properties coming on to the rental market was cited as the main reason for the change. The survey states that demand for rental property is strongest in London. Residential rents in London performed well in the latter months of 2009. The Residential Landlords Association, which represents more than 6,000 landlords in England and Wales, reports that rents increased by 0.7 per cent in December, bringing the average monthly rent in London to £1,651. On Sunday 10th January 2010 The Sunday Times ran a feature on how Irish investors are turning to the English capital, where rental property has shown itself to be recession proof. Below is the full text from the article by Siobhan Maguire. In the run-up to a two-day auction of distressed properties in some of London’s more desirable locations in December, Donal Riordan, a Dublin businessman living on the Isle of Man, had his eye on a particular lot. In Shoreditch, in London E1, close to Liverpool Street, was a freehold building (formerly a school) with planning permission to convert its shell into four apartments. The foreign buyer is again fuelling London’s property market. The auction — which had a sales total of more than £50m and a success rate of 80% — was dominated by cash buyers who displayed “an increasing sense of prudence”, the organisers said. What is interesting is the level of interest from Irish buyers, who, like Riordan, are keen to expand existing portfolios before prices increase further. there has been an increase in inquiries from clients about re-entering and reinvesting in London’s market this year. The surge in the number of eurozone cash buyers, keen to take advantage of the weak pound, is forcing prices to rise in some parts of the city. In the Land Registry’s latest figures, published in December, prices in London were 3.5% higher than in November 2008. Prices rose by 2% over the month, bringing the average cost of a property to £324,231. Meath schoolteacher who has one investment property. McDonnell says the pull for clients to buy again is the rental market, which has so far managed to avoid the yield drops experienced in other parts of Europe. Most of its properties are in east central London, where there is strong capital growth, good infrastructure and new transport links. Residential rents in London performed well in the latter months of 2009. The Residential Landlords Association, which represents more than 6,000 landlords in England and Wales, reports that rents increased by 0.7% in December, bringing the average monthly rent in London to £1,651. A survey by the Royal Institution of Chartered Surveyors (RICS), published last month, predicts rents will rise this year because the number of rental properties coming on to the market has fallen. Findlay Property plans to expand its service to buyers from south-east Asia. An intriguing aspect of the financial crisis has been the speed at which Asia has rebounded, McDonnell says , with banks still lending to homebuyers and investors. The Irish Times has run a story about Findlay Property in this weeks property supplement. LONDON INVESTMENTS: EVEN IN a flat market, new transport links are guaranteed to generate interest, so the long-awaited extension of a train line to south Hackney in east central London is already attracting investment. Prices across the city are down by an average of 10–15 per cent since 2007, and agents say sales have virtually ground to a halt – so it’s a buyer’s market, with particular value for euro zone buyers. South Hackney, says McDonnell, was one of the last areas of central London resisting gentrification, but that’s changed, particularly in neighbourhoods like Shoreditch and London Fields. “It’s within walking distance of The City and there’s easy access to the West End, so the train will put in place the element that’s been missing,” says McDonnell. 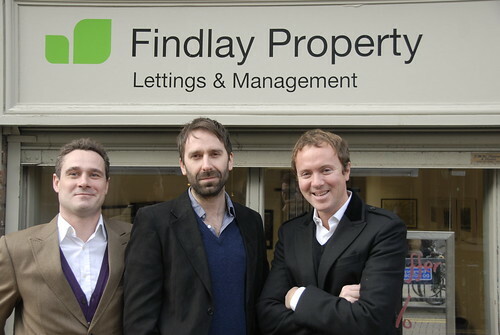 Three of the four directors of Findlay Property are Irish: Simon McDonnell, John Walsh and John Paul Van Cauwelaert. The fourth is Scot Alan Findlay. They set up the business in a small East End flat in 2001 and now operate from the more salubrious environs of Broadway Market. “We’re not an estate agency,” says McDonnell. “We’re a property management company which sources properties on behalf of its clients and then manages it for them afterwards. Typically, a three-bed ex-local authority property can be bought for around €235,000. Findlay charges a 2 per cent finder’s fee, which could come to €5,000; refurbishment costs another €5,000; stamp duty adds €2,500; legal fees another €1,000; and furniture and white goods €2,000. That’s €250,000 all in – the cheapest McDonnell would recommend.